Heading over to Weber State I had no idea what to expect. I’d never been to Ogden before, and didn’t know any of the coaches on the staff. I didn’t know much about the program or the school either. I just knew that it was in the Big Sky, which is the “SEC” of the FCS level. By the time I left Ogden, I had 2 coaches on the staff I now call “friends” and brought back footage that I think you will agree shows Weber State in a very positive light. Weber State has gone through a lot of transition this year. After being named the new Defensive Coordinator in January, Jody Sears was named the new Interim Head Coach in April. He spent the last few years at Washington State as their Defensive Coordinator under Head Coach Paul Wulff. I got a chance to visit with Coach Sears during camp and he was a great guy. With a resume like his, there’s no doubt he’s a great coach. The thing I liked the most was the fact that he was also a great person. He took the time to come over and talk to me and ask questions, when he had no idea who I was. That to me just spoke to the quality of his character. He has also assembled a very good staff. 2 names to specifically mention are Matt Hammer and Justin Rascatti. Justin is the QB coach and a fine one at that. During camp I watched the drills he was doing and listened to the things he was saying, and I was very impressed. In fact he’s such a good young mind, that Peyton Manning and his passing academy, which is the best in the nation, invited Justin out there this summer to help coach. I’ve been around this industry a long time and have come to know when I see a young coach that is headed places, and Justin Rascatti is definitely a name to remember. The other coach that really stood out to me was Matt Hammer. 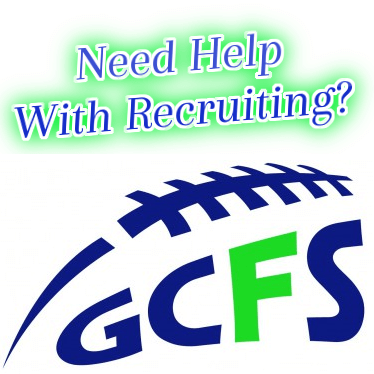 Matt is the RB Coach, Offensive Coordinator, and Recruiting Coordinator for Weber State. He’s another really young, energetic coach that has his stuff together. I got a chance to speak with him extensively at camp, and talked a lot about our Northwest kids. At the time, they didn’t have any coach responsible for recruiting this area. After our visit, Matt is now recruiting the NW for them and even had planned on coming out to our Showcase Event at UW. Unfortunately, the wife of one of their coaches passed away during child birth and he had to stay back for the funeral and wake. As far as the campus and facilities go, I was pleasantly surprised. Nestled into the mountains, the entire campus of Weber State looks like the background for a postcard. You definitely feel the altitude when you’re there(around 5,000 feet), and everything is either walking up a hill or down one. Parts of their facilities were average at best, but others were as nice as any you’ll see at any school in any level. Their locker room is really nice, with spacious lockers and a pretty cool layout. The game stadium is really nice, with the visitor side bleachers built into the mountain in the background. The weight room is average in size, but has all the top of the line equipment you could want. Overall I would give Weber State a B-. There’s nothing bad about the place that I could point to. I had a great visit there and feel like it’s a place that I can really see a lot of our Northwest kids attending. Their program is making the effort to improve, which is evident with the new hirings and promotions of coaches like Coach Sears, Coach Rescatti, and Coach Hammer. But they need players, and in the Northwest we got them. A hidden gem no longer, this area is ripe for a school and program like Weber State to start actively recruiting. And hopefully with my new found relationships with their staff, we can be a conduit to start making that happen.